Today Acadia Hospital, a Children’s Miracle Network Hospital, received a donation from the author and illustrator of Mack-A-Doodles. Mack himself has been selling coloring books in an effort to raise money for Acadia Hospital Children’s Services. Acadia is grateful for this donation as it will enrich the care they provide patients and continue their mission of empowering people to improve their lives. 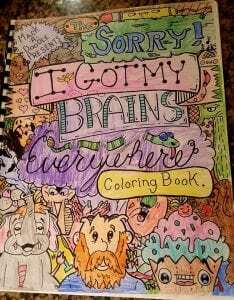 If you are interested in purchasing a coloring book please reach out to Mack using the link below. Thank you Mack for making our day colorful and bright with your generous donation!